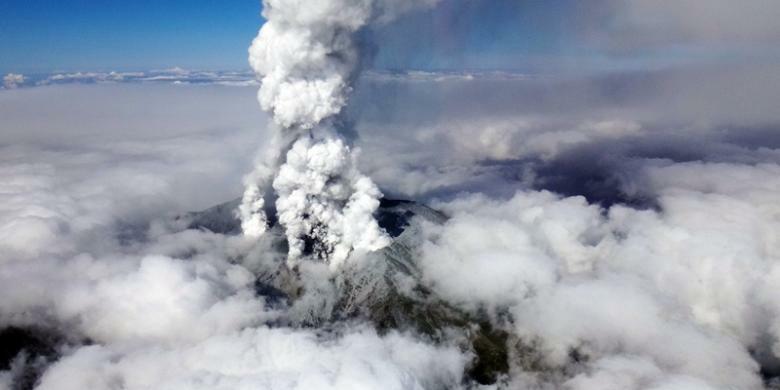 Mount Ontake in Japan erupted, resulting in dozens of mountaineers trapped. Besides seven people missing and 40 people injured in the surrounding mountains. Sohei Hanamura, a crisis management agency officials in Nagano prefecture said, injuries can not afford down from the mountain with an elevation of 3,067 meters and opted to stay in huts on the mountain. The police, military and fire departments will try to enter the disaster area on foot on Sunday (28/09/2014) morning. Walk chosen because the resulting ash mountain was too dangerous for helicopters. Mount Ontake erupted before the middle of a sunny day in autumn with Suaran produce a very loud explosion. As a result, smoke and ash spewed into the air so that the area around the mountain is now covered with dust. A number of smaller eruptions continued to run until Saturday night. A total of 250 people had stuck on the mountain slopes but most of them made it down the mountain on a Saturday night. Mount Ontake is located 210 kilometers west of Tokyo and is located in Nagano and Gifu prefectural border, on the island of Honshu. The last time the mountain erupted was in 1979.